I have a BA (Hons) degree in Counselling and Psychotherapy and MSc in Psychology. I have extensive experience as a Counsellor and Psychotherapist in various mental health settings and third level Institutions (UCD, NUIG). I have worked with individuals and couples with a broad spectrum of issues: anxiety and panic disorders, general depression, relationship difficulties, sexual dysfunction, sexual assault, crisis pregnancy, post abortion issues, unmanageable stress, self-harm and suicidal ideation. 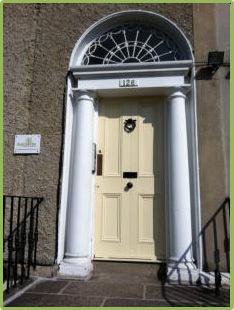 I offer face-to-face sessions in my private practice in Dublin to individuals and couples who are experiencing psychological distress. I focus on creating a collaborative relationship and providing a confidential space to help you develop an understanding of your presenting issues and effective ways to manage them. If you would like to arrange an initial consultation please contact me at the following number 086 3050364 and I can schedule an appointment to meet with you in person and in confidence.